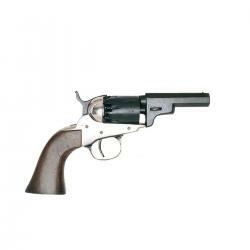 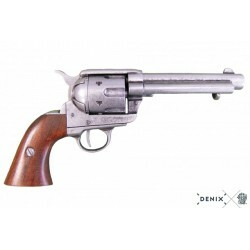 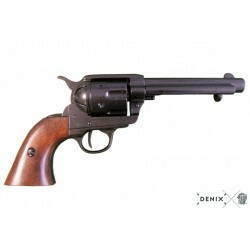 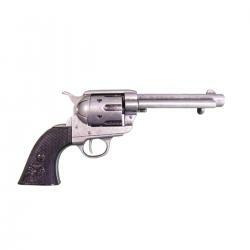 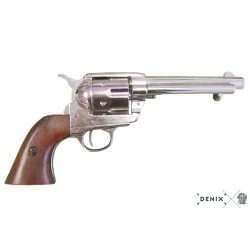 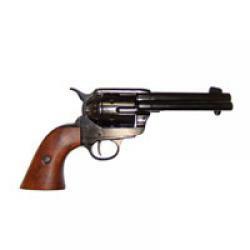 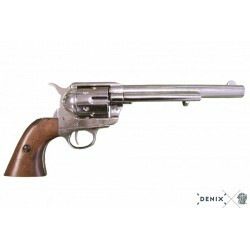 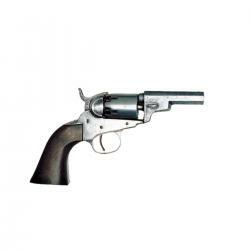 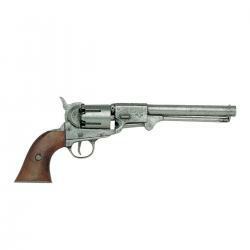 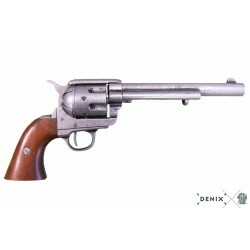 The Single-Action Army Revolver was produced in several forms and many calibers from 1872 to 1940, with production totaling about 350,000 pieces. 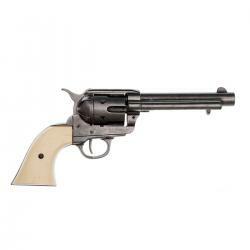 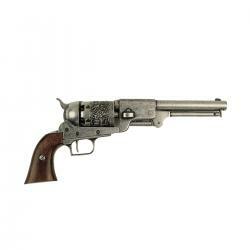 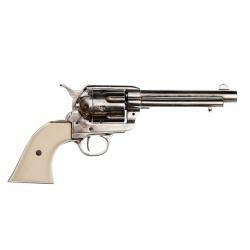 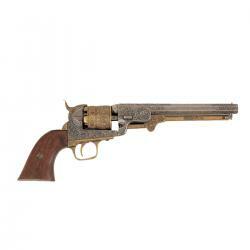 As its introduction coincided with the settlement of the "Wild" West, the name " Six-Shooter" were popularized. Although most were produced for the military, some civilian versions were beautifully engraved at the factory. 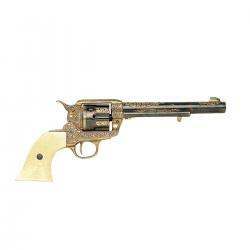 This non-firing version replicates a gold-inlaid piece and has a functional lock mechanism, with a revolving cylinder and working ejector system. 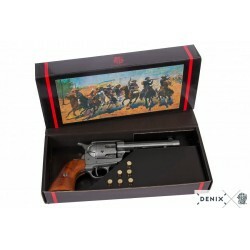 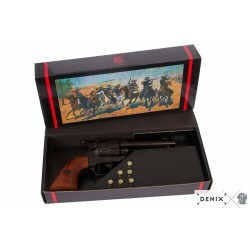 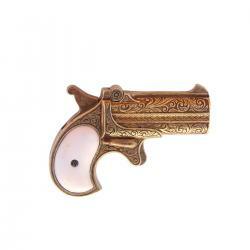 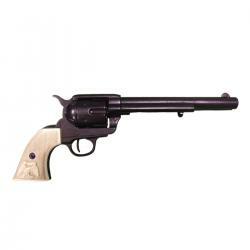 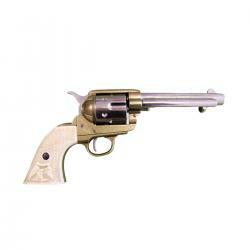 Our holsters are ideal for wearing one or two Western guns and dummy cartridges are also available.